Make the most out of your StorePep account with this account setup guide. Set up your billing address. Change and update your account password. The first step to getting your account in place is to set up your Billing Address. To do this, head over to the last ‘My Profile’ tab on your StorePep dashboard and click on ‘Account Details’. You will be prompted to enter your details. Key in the information and click on ‘Save’. 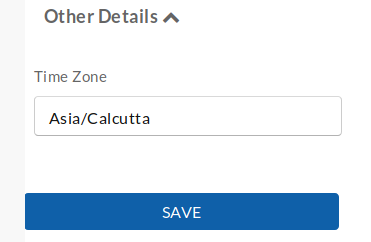 You even get an additional option to enter your time zone. With that, your Billing Address has now been updated. The option to change and update your password can be found in the same ‘My Profile’ tab. Simply click on the ‘Change Password’ option. The password needs to be a combination of alphabets and numbers or special characters. Once you have entered and confirmed your password, click on ‘Change Password’. You will be notified that your password has been successfully changed. Managing your StorePep subscription plan is easy and can be taken care of from the ‘My Profile’ tab itself. Click on the ‘Manage Subscription’ option and you will get the details of the plan you are subscribed to along with options to change your subscription and view your invoices. StorePep offers 4 subscription plans that you can choose from based on the number of orders that you process every month. You can choose to either upgrade or downgrade your subscription from here. Simply click on the ‘Select’ option below the plan specifications to upgrade or downgrade your subscription. In case you already have an active subscription, you will get a message asking for confirmation. 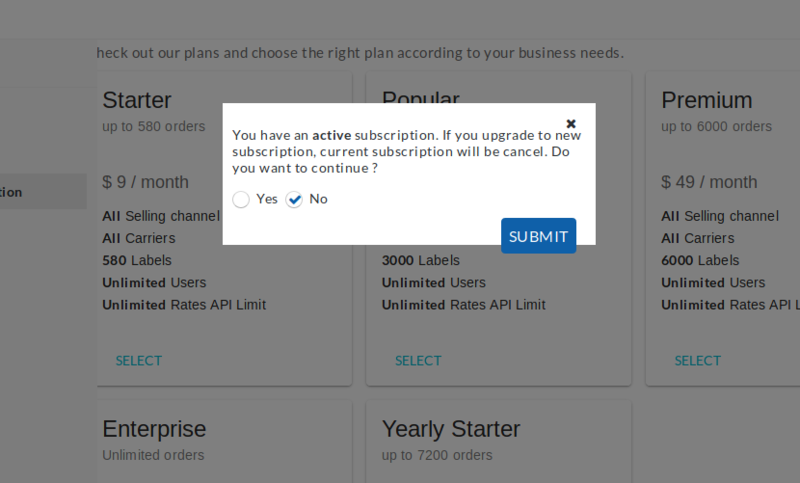 You should note that upgrading to a new subscription will cancel your current subscription. You will be redirected to the payment method verification page. You can pay for your StorePep subscription easily with PayPal. You will be redirected to the PayPal checkout page wherein you can enter your credentials and proceed with the transactions. In case you want to cancel your StorePep subscription, you can write in to us at support@storepep.com and we will take care of the task for you. In case you still have questions, just fill out our contact form and our specially trained agents will get in touch with you shortly.